On the top shelf of my in-home office here in Buffalo sits a desk ornament that reads, “GOOD MORNING, LET THE STRESS BEGIN”. Its rectangular shape and bold font bolster its earnest appearance. It doesn’t have the same meaning, though, now that I have retired from the Wyoming Legislature. It originally sat on my office desk in the State Capitol building and after that in the Jonah Building while the Capitol was being renovated. Yet, glancing at this old friend brings back recollections when everyone thought it was a pretty accurate depiction of life in the Legislature. It also helps recall some of the singular events which have given it so much meaning for me personally. 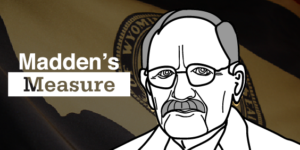 It might be informative to the average Wyoming citizen to learn about stress in the Legislature, the quality and quantity of which varies widely among members. New legislators have different causes of stress than committee chairmen. Majority party members are stressed for different reasons than minority party members. Finally, legislative leadership has their own unique stress points. One common thread among all legislators, however, is that all stress in the Legislature is to one degree or another related to the clock. That is, the clock reminding you how much time is left in the day, which is never quite long enough, and also the calendar clock hanging on the wall — reminding you of how many days are left before adjournment when the work needs to be completed. The first week of the Legislature is dominated by reading new bill filings. They normally will total around 500 by the deadline. Only about half are typically filed before the session begins. The rest arrive a dozen or two at a time in each of the first 10 days of the session. To freshmen, understanding the essence of these bills is complex, daunting — and stressful. 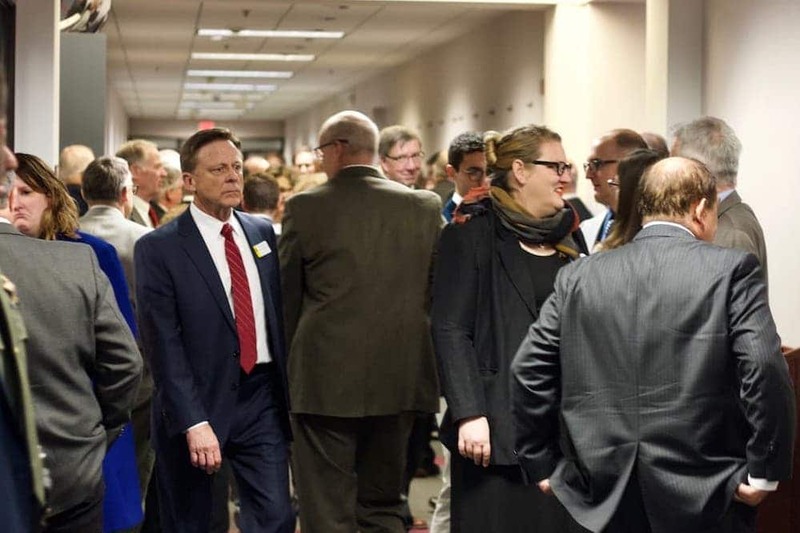 Constituents from home, lobbyists and other interested parties focus on contacting legislators as early in the session as possible — probably to pre-empt those with opposing views. I was recently reminded of this the day after the Jan. 8 Governor’s Gala when I met up with a former colleague. He sailed by explaining that he was late to his second breakfast, this one with a special interest group from his home district. Such meetings tend to occupy each morning before committees begin meeting at 8 a.m.
Electronic communication is another source of stress. Telephone messages, and now text messages, clutter up one’s telephone — many of which demand a timely response. Likewise email flows into the typical lawmaker’s in-box without reprieve. Four to five hundred per day is standard. During the earliest of my 12 years in the legislature, I left my phone at home. To compensate, I encouraged constituents to contact me via email. With email I had more control of when I read and replied to the voluminous messages. After becoming chairman of the Revenue Committee seven years ago I had to abandon this policy and start carrying a cell phone. Following all those informal breakfast meetings the typical legislative day officially starts with committee meetings from 8 to 10 a.m. Much of the work of the Legislature — both during the session and in the interim period throughout the rest of the year — happens in these smaller groups. Committees take testimony, consider, mark-up and decide whether to advance bills that fall under their purview. Roll call for the daily session — assembly of the entire legislative body, the House in its chamber, the Senate in another — takes place at 10. The daily session is when bills are introduced, read, debated and voted upon. It recesses at noon. More conversations with stakeholders happen over lunch before the body reconvenes at 2 p.m. Adjournment normally occurs around 4 to 5 p.m. Upon session adjournment for the day, afternoon committees commence, lasting until around 6 p.m. or later. It’s not uncommon for a committee’s work to stretch well into the night. Next, the typical day is capped off with a series of receptions and perhaps a dinner provided by organizations and business interests who believe their well-being is held in the balance by the Legislature. The more years a legislator has served, the less prone he or she is to attend all of these events. This means that the legislative day concludes at about 8 p.m. Next it’s time to draft and send email replies to those who have helped fill your inbox during the day before retiring for the night. Before too many days have passed, new legislators establish a prioritization of email replies, focusing on their constituents first. The next day it starts all over again — often with another 6 a.m. breakfast. It is universal among legislative members that their favorite time of the week coincides with adjournment on Friday. Saturday is a day to catch up on things that simply had to stay on the back burner during the week. Saturday morning is also a time to catch up on sleep and to take care of laundry. Many also use this breather to write an article for the local news paper in their district. Some may even try to drive home. However, it has become the normal pattern to go home rarely unless one’s legislative district is close to Cheyenne. The present session is referred to as a general session. It is the time for legislators to bring legislative ideas to be considered by their peers. Although there are budgetary bills, the overall thrust is to focus on general non-budgetary matters. General sessions extend for up to 40 working days. Sessions which take place in even-numbered years are budget sessions that last about 20 days. However, many non-budget matters are brought to these budget sessions by committees and individual legislators. Even though the budget session lasts only half the number of days as general sessions, it is considerably more stressful than the general sessions because the work of writing, debating and approving the state’s two-year budget has to be completed in half the time. By constitution the Wyoming Legislature meets for no more than 60 days over a two year period. Anything beyond 60 days requires a special session. I look forward to sharing my perspective on key pieces of legislation — their origin, their intended purpose and the reasoning that citizens use for opposing or supporting them — and other Cheyenne happenings here in the coming weeks. And I look forward to receiving your comments each week. Great to find Mike Madden’s voice in Wyofile. He was a clear-eyed straight-shooter in the legislature, never followed the pack. 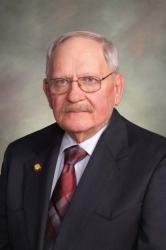 Wyofile is fortunate to have a studied columnist of Chairman Madden’s character and integrity. Though it may sound trite, thank you for your years of service. I look forward to future posts and insights. Thanks for sharing your “insider” perspective! I wrote to all of the Federal lands sub-committee members last year, prior to a hearing. I never even received an electronic “canned” response, but I did happened to notice that they had 340 bills pending – that’s insane ! I’ve been to DC to advocate for various Public Land initiatives trying to explain to young staffers how things are out here in the west. They are all very polite and promise to ” give the Representative the information” as they’re glancing at their watches (this was before Iphones) anticipating “Happy Hour” in DC. There was a recent documentary called “The Swamp” and they interviewed some freshman Congressmen, one of them was Republican Ken Buck from Colorado, and they all said the hours and the workload are overwhelming, that they don’t have time to read the bills, much less anything so they rely completely on Committee staffers to brief them on the issues and the stress level is insane. Thank you Representative Madden for your insight into the State process. I look forward to hearing more, especially your insight on the economics of the WY wind farm projects, which I am opposed to, as a landowner in the path of the Transwest Transmission Line Project. Thank you, Mr. Madden, for sharing your perspective in this informative and very interesting piece! Great addition, WyoFile! I hope to share your column with the students in Cody High School’s Youth for Justice program, under the guidance of CHS teacher Deb White, which involves students in the legislative process, taking them to Cheyenne to petition for bills and experience government in action.